These yummy energy balls are one of the quickest and most simple snacks to make and in an airtight container in the fridge can last for over a week. They also look fabulous to serve when having guests over, no one can resist them! Place the dates, figs and cashew nuts into the food processor and blend until mixture just sticks together. If you find your mixture a little dry, add a tablespoon of honey but I tend to not this. 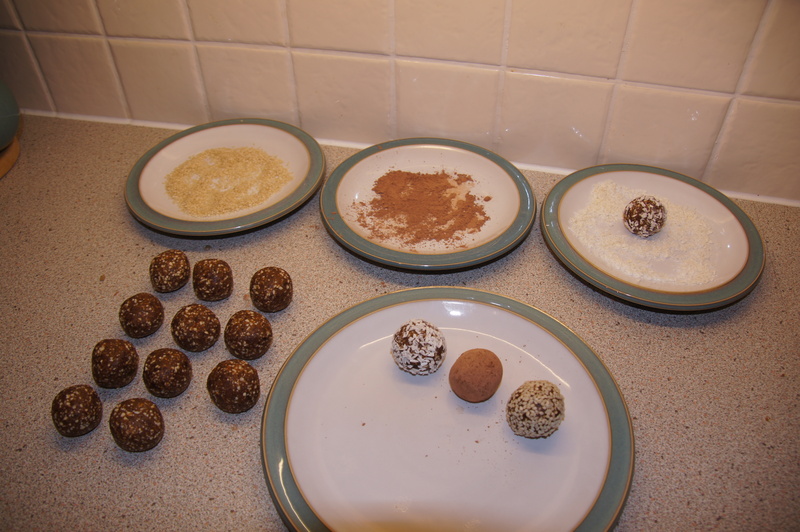 Measure out amounts in to 15 equal portions and then roll into balls. 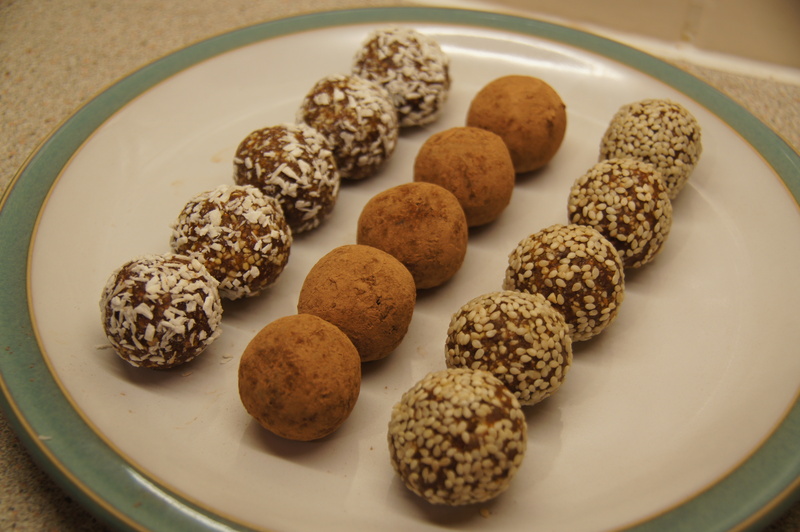 Roll energy balls in sesame seeds, desiccated coconut or cocoa powder. This entry was posted in Snacks and tagged balls, cashew, cocoa, coconut, dairyfree, date, energy, fig, glutenfree, sesame, vegan, vegetarian. Bookmark the permalink.